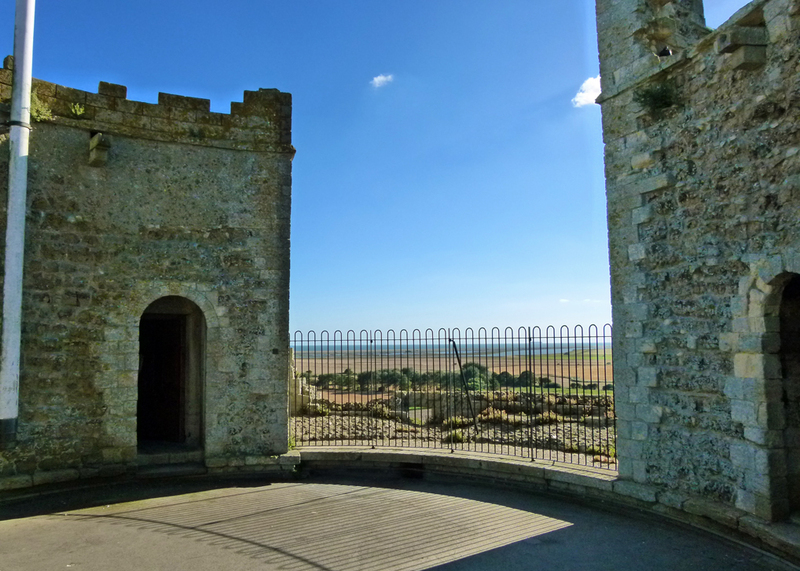 There’s not much left of Orford Castle, except for its keep – but that’s absolutely spiffing. 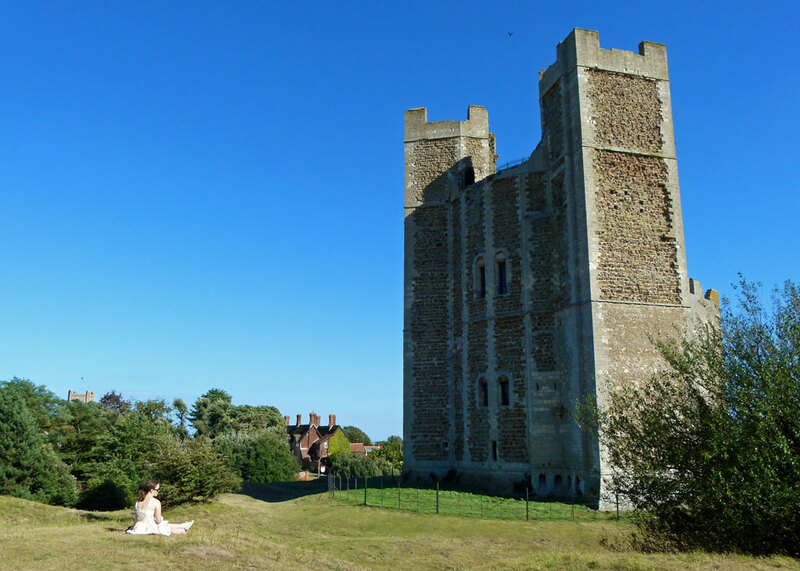 At the cutting edge of medieval castle design in its day, the keep has managed to survive for 800 years, still dominates the surrounding Suffolk countryside and coast; and the views from the top are terrific. 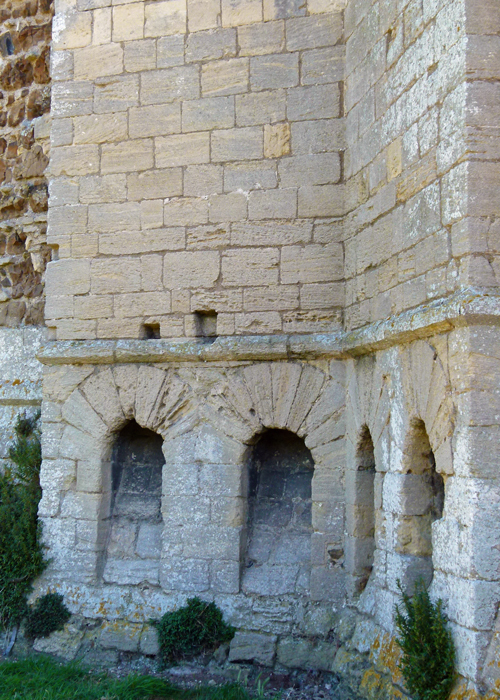 Orford Castle was built on the orders of Henry II between 1165 and 1173. He had come to the throne in the aftermath of the civil war between his mother, the Empress Matilda, daughter of Henry I, and his predecessor, Stephen. Often referred to as the Anarchy, this period in English history is notorious for powerful barons doing pretty much as they liked, including building ‘adulterine’ castles – ie without royal approval. Henry was determined to restore the monarch’s authority, which included tearing down or confiscating what he saw as illegal fortresses. He also refortified some of his own – and built a brand-new one at Orford. 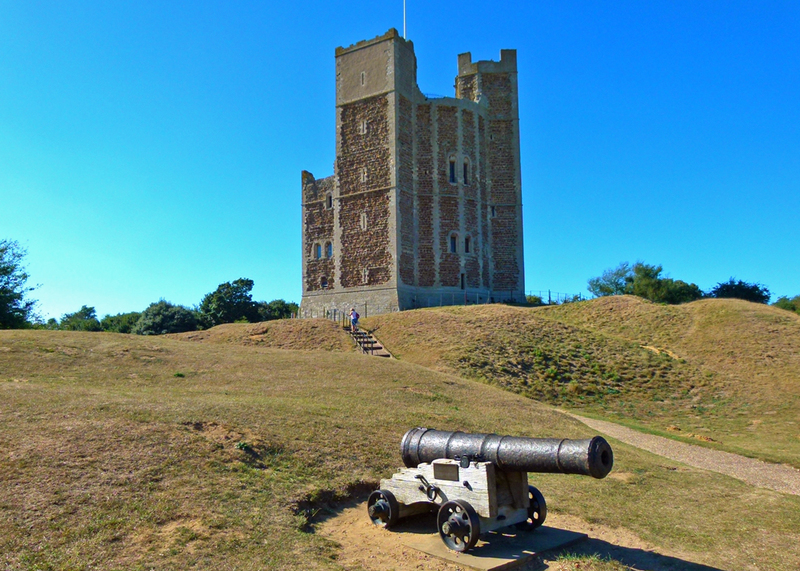 The site chosen was strategically situated on the east coast, to deter or respond to foreign invasion and provide a harbour for supplies, as well as being handy to counter the powerful and often truculent Hugh Bigod, the Duke of Norfolk, who had a castle up the road at Framlingham. 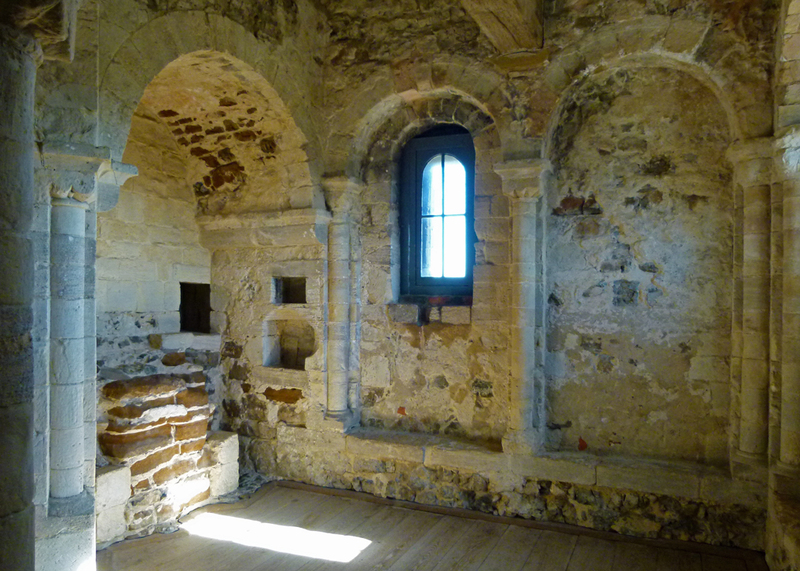 One of the interesting things about Orford Castle is that accounts for its construction have survived. And it seems that our Henry did not stint, because £1,413 was spent on it from 1165-73, equivalent to 7.85% of the average annual royal income of £18,000 at the time. Not that there is any record of Henry ever having visited his castle. His was a restless reign, much of it spent defending his domain, not least against his own sons and wife. And when you consider that Henry ruled over the so-called ‘Angevin Empire’, which stretched from Scotland to the Pyrenees and included Normandy, Maine, Brittany, Anjou, Touraine, Aquitaine, Gascony and Toulouse, you will appreciate that he had quite a bit on his mind. There is no visible trace of the primary defensive curtain wall and towers that originally surrounded Orford Castle, or any other building that once occupied the site, apart from the keep. Much of the ground round about looks as though it’s been stirred up by giant scoops, the result of quarrying and attempts at landscaping, though it is possible to make out the 12th century outer defensive ditch. The keep itself is exceptionally preserved, though. It is an unusual polygon shape, accessed by an external stairway which takes you to a reception lobby and then into a circular, lower hall. The external stairway is a Victorian replacement, but the triple archway through the almost 10-foot (3 metre) thick wall into the lower hall is certainly original, and the defensive measures are fascinating. The lower hall would have been used for court sessions and there’s a stone bench running round the wall for seating. Passages between the inner and outer walls lead to additional rooms, including a small kitchen (as a back-up to the larger one that would once have been situated outside the keep) and a nice little double-seater loo (though there would have been a separating partition for privacy). The beautifully arched outfalls for the latrines can be seen outside. 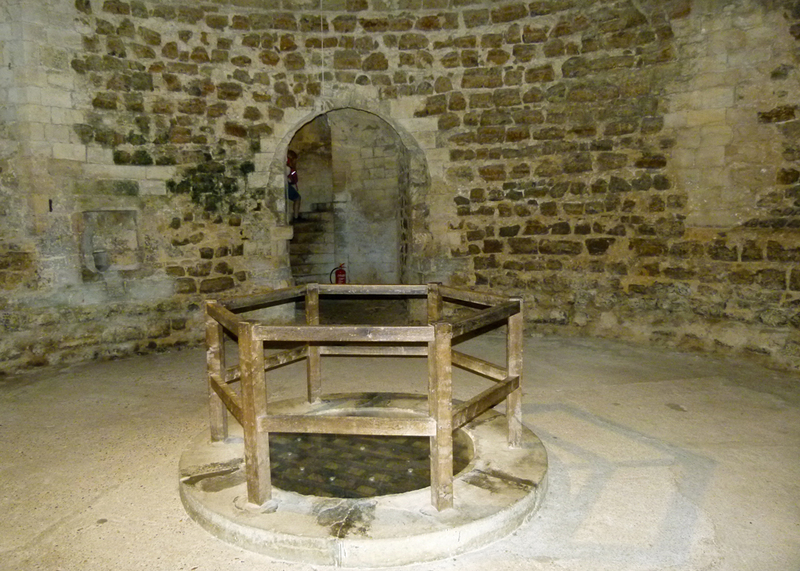 This was a highly organised place; higher up the tower, there was a cistern which collected rainwater from which, experts believe, it may have been distributed to other rooms via a series of pipes. Beneath the entrance lobby, a small room is accessed by trapdoor – most probably a prison cell. 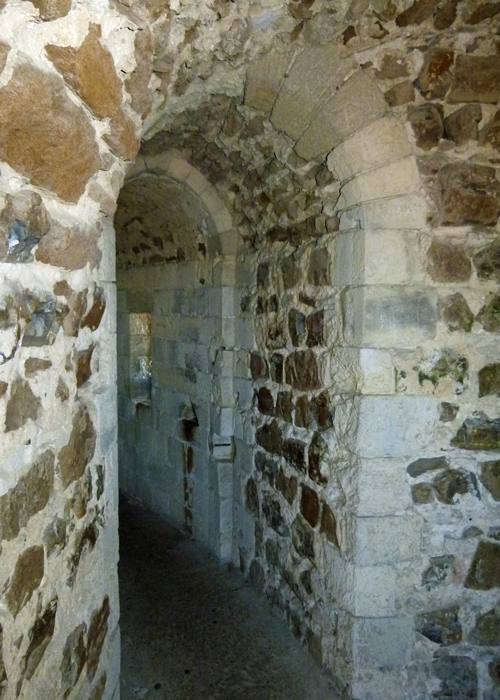 The rest of the basement, accessed by its own staircase, contains the keep’s well and would have held supplies. 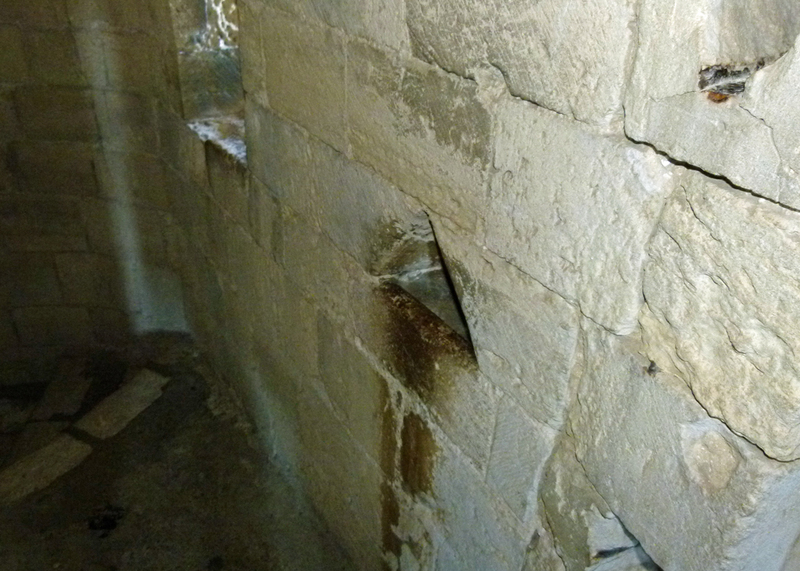 Up a level from the lower hall is the constable’s chamber, which has an unusual and handy feature in the passage – a urinal set into the wall, and connected to the castle’s drainage, so that the constable didn’t have to go too far when disturbed by those irritating calls of nature in the night. It’s a wonderful reminder of the real people that lived here, and who designed the accommodation. Above the lobby is a small chapel and, nearby, a little room for the chaplain. 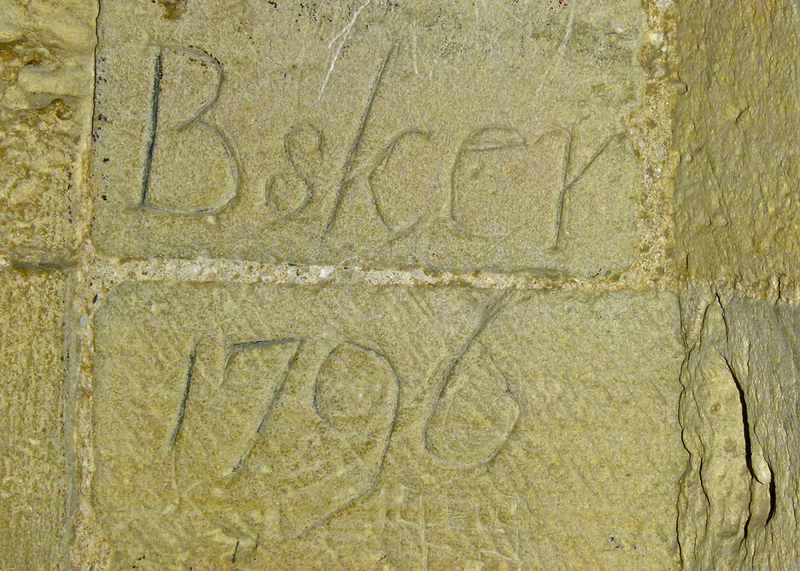 The chapel still displays its decorative stonework, and even a smidgen of the original decoration. There are the remains of the altar and, set into the walls, cupboards for storing valuables and a piscine for washing hands and sacred vessels. 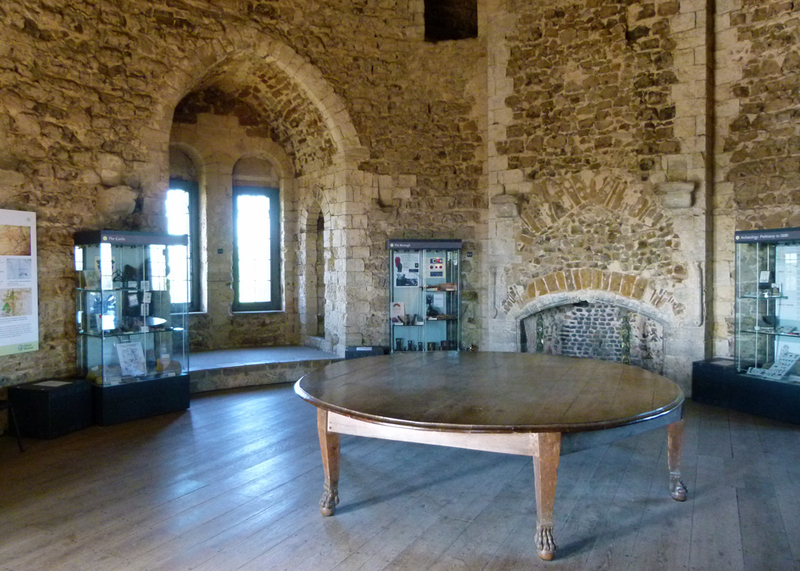 Continuing up (there are a lot of spiral stairs in Orford Castle), brings you to the upper hall, which would have been the more luxurious area used by VIPs, and the adjacent accommodation, known as ‘the King’s Chamber’. The upper hall now contains Orford Museum, which includes local artefacts from Roman times as well as some fascinating stories – including the one about Orford’s Merman, which we’ll come to later. A final climb brings you to the roof, which housed a gun platform and look-out post during the Second World War as well as the castle’s medieval bakery. The views over eerie Orford Ness, nature-reserve and one-time secret experimental establishment, the village and beyond are just wonderful. 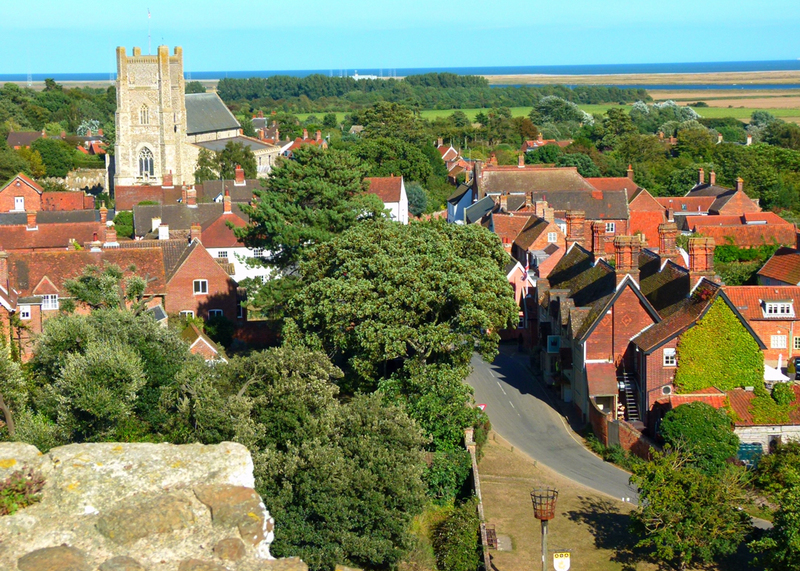 It’s hard to believe that Orford was a bustling port and market in the middle ages, it is so quiet now. At one time, it was owned by Henry’s erstwhile friend, Thomas Becket, before Henry appointed him Archbishop of Canterbury. The castle was finished just in time to be reinforced to counter a rebellion in 1173, led by Henry’s oldest son (also called Henry) and joined by our friend the Duke of Norfolk. In the end, the rebellion was beaten elsewhere, without involving Orford. But the port was chosen by Henry’s widow, Queen Eleanor, as the assembly point for a fleet of ships carrying the ransom to release another son, Richard (Richard I of England, aka ‘the Lionheart’) from captivity in Trifels, Germany. 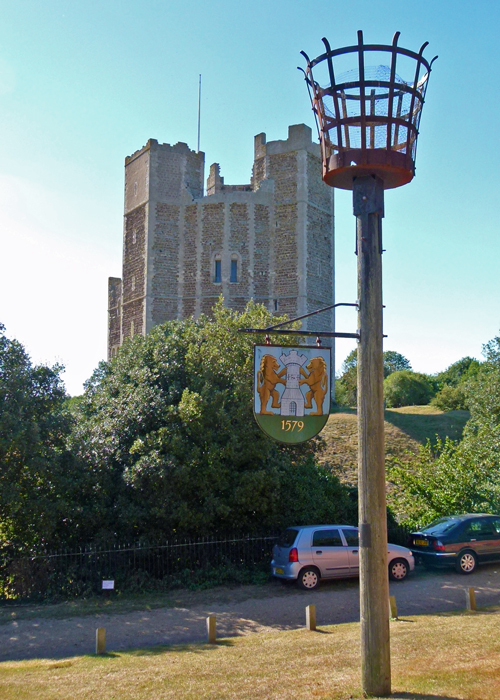 In 1216, Orford and its castle were captured by the French and, during the Baron’s War of the early 13th century, the place changed hands several times. Orford Castle was garrisoned with royal forces at times of stress but, by the 14th century, the estuary of the River Ore was silting up, the castle had passed out of royal hands, and decline was setting in. In the early 17th century, stone from Orford Castle was used to help build nearby Sudbourne Hall for the then owner, Sir Michael Stanhope. The castle keep was saved, and opened to the public in 1930. Sudbourne Hall was demolished in 1953. Eventually, the Orfordians took the strange man back to the harbour and allowed him back into the sea, with nets all around him, which he managed to evade. Notwithstanding his treatment, he apparently hung around for two months before disappearing back out to sea, never to be seen again. A very old and remarkably preserved castle! And the first ‘merman’ story I’ve heard. The history of the castle was very intersting and so is the legend, in a different way! It is a wonder to me that this building is still standing. Truly a statement to the builders. An interesting story about the merman. It makes me wonder what he really was. To me, imagining the people who lived there is the most exciting and interesting concept. They would have such stories to tell. I saw it in snow:) loved it! I like (or rather don’t like) the bit about he didn’t talk even when he was hung by his feet and tortured, the information rather casually thrown in there, all part of the scientific enquiry I suppose. I wonder who or what he was. I know Orford well. I hope you managed to get to Orford Ness – I am sure you did – and you had great weather by the looks of it. Oh yes – looking forward to writing up Orford Ness! Loved all your photos of the castle. Imagine building castles that you never found the time to visit. Poor merman, but so typical of humans to torture what they don’t understand. Thanks for another glimpse back in time. Curious story about the merman. Wonder what it really was. Funny how the depiction of the merman shows him with a fish tail, while he is described as having all limbs formed like those of a man, and being suspended by his feet (and tortured!!! That was all they could think of in those times, it seems!!!). The castle reminds me of Scarborough. I think it would look pretty similar if more of the keep were left. Ah, Meike, the illustration is of a common, or garden, merman – not the one from Orford. 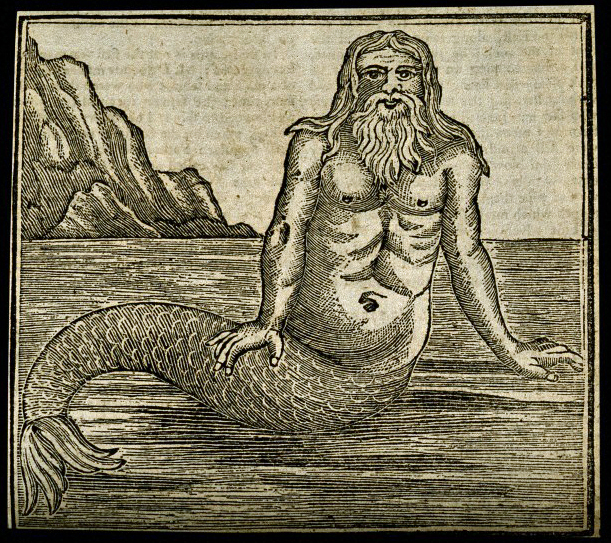 The illustration is “A merman by the sea, wood engraving” Credit: Wellcome Library, London (If you hover your cursor over an image, text will appear – but it does depend on your browser. 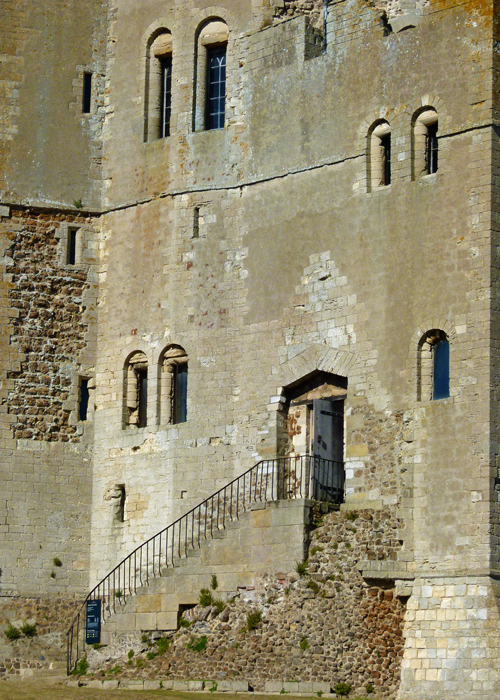 Scarborough Castle has its main gate and some of the curtain walls, though its keep is not in such good condition as Orford’s. Thanks for this one, Mike! One of our favourite places to go for an afternoon outing in the warmer months. I always feel sorry for the merman (whoever he was). He obviously appreciated the food and tolerated the torture. Curious story about the merman. A marvelous place to preserve and visit!